Ten years later we are seeing a rising tide of influential, courageous and empathic feminine leaders. However, I believe the spirit of feminine leadership is for EVERYONE, not only women. We as a collective are being called to unite and step into a new paradigm - the Spirit of Feminine Leadership. The Spirit of Feminine Leadership embraces presence, inclusivity, calmness, courage and compassion. The Spirit of Feminine Leadership is empathic, and the embodiment of authenticity. It is time to nurture the Spirit of Feminine Leadership for all humanity. 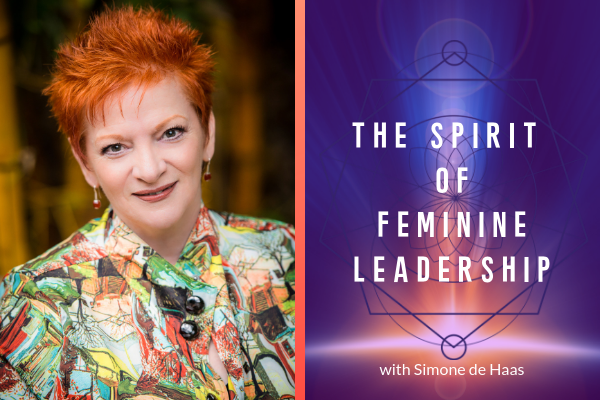 I share articles, blog posts and videos and other resources about The Spirit of Feminine Leadership. If you'd like to join the conversation and share your personal insights, please click on the link below for access to the email series. I appreciate your input and your privacy and will not share your information with anyone, ever.